Give Me My Remote > #1 featured > GMMR TV Awards: Favorite Comedy Series – Vote Now! Family dynamics, roommates, couples growing up, and brilliant friends -- which show gets your vote for "Favorite Comedy Series"? Want to make sure your pick takes the top spot? Tweet it! Tumble it! Facebook it! “I just voted for [your choice here] as Favorite Comedy Series in the GMMR TV Awards: http://bit.ly/12cR5Nw Vote now!” and we’ll retweet/reblog some of the replies that amuse us the most from @GiveMeMyRemote and our Tumblr account. 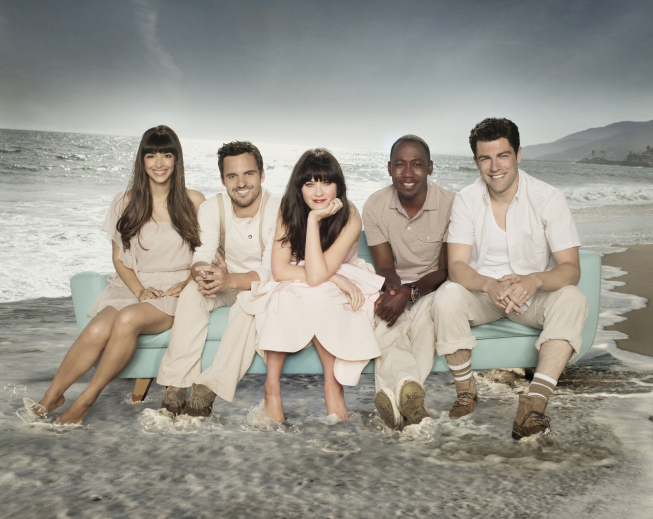 I still love the Big Bang Theory, but New Girl won me over this year. Definitely NEW GIRL!!! that show really made Tuesdays a must to watch the gang and THAT KISS I saw—-mind blowing!!!!!!!!!!!!!!!!! keep it up Liz&team!!! we love you! Why is Parks and Rec not even on this list? Lame. Poll invalid. What’s up, yeah this article is truly pleasant and I have learned lot of things from it regarding blogging. thanks.